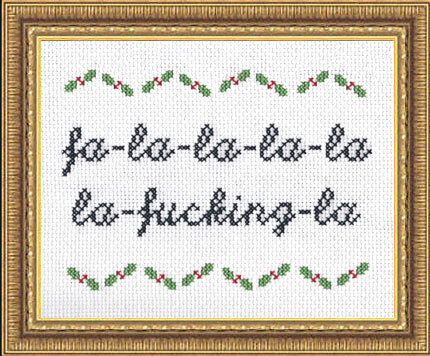 Citing anger management as a starting place for her hobby, Jackson has reintroduced cross stitching as something that’s actually cool, and i would even dare to say punk rock, to do! 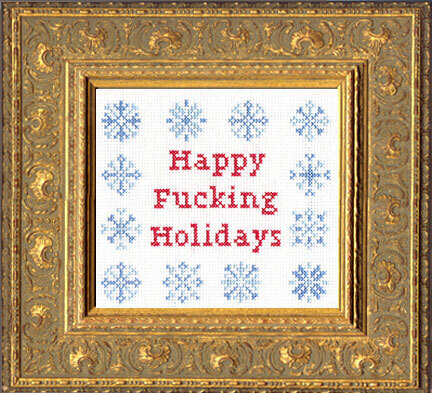 And the best part is, Jackson doesn’t hate on the traditional craft – she just places the traditional flowery, dainty imagery around the expletives. 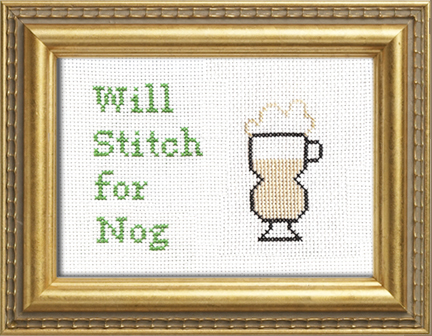 This isn’t exactly the needlepoint you would bring to your grandmother’s craft circle, but that’s okay! 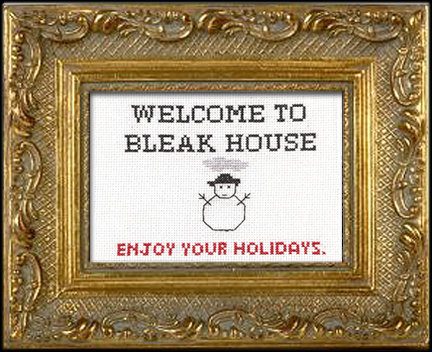 Jackson offers kits and detailed instruction on how you, too, can make naughty cross stitches for every occasion on her website. That isn’t all Julie is busy with these days, either. She also spends a lot of her time making, uhm, cat wigs. No, actually! She even has a new book out, aptly entitled, GlamourPuss: The Enchanting World of Kitty Wigs. To keep up with Jackson’s cross stitch work, you can sign up for her mailing list on her website, www.subversivecrossstitch.com. Or, if your kitty is looking for a new look, check out www.kittywigs.com, sign up for the mailing, and you can even get an official iPhone application. 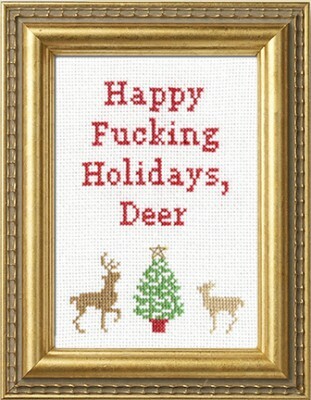 Oh I love subversive cross stitch! Awesome! It’s unusual for me to find something on the cyberspace that’s as entertaining and intriguing as what you have got here. Your page is sweet, your graphics are great, and what’s more, you use reference that are relevant to what you’re talking about. You’re certainly one in a million, great job! I’m impressed, I must say. Very seldom do I encounter a blog that is both educative and entertaining, and let me tell you, you’ve hit the nail on the head. Your thoughts is outstanding; the issue is something that not many people are speaking intelligently about. I’m really happy that I stumbled across this in my search for something relating to this. This really is such a fantastic useful resource that you are providing and also you give it away free of charge. I adore seeing web websites that understand the worth of providing a quality useful resource for free. It?s the outdated what goes around comes about routine. Could you message me with a few hints on how you made your blog site look this good, I would be appreciative! The decline of popularity has been attributed to the rise of. It’s rare for me to find something on the cyberspace that is as entertaining and intriguing as what you’ve got here. Your page is sweet, your graphics are outstanding, and what’s more, you use reference that are relevant to what you are talking about. You’re definitely one in a million, keep up the good work!